Discover the majesty of the Elephant Collection by Belle Étoile! Featuring hand-painted Italian enamel pachyderms in regalia set among colorful palm trees, the Elephant Collection is whimsical yet elegant in design and pays homage to these amazing creatures. 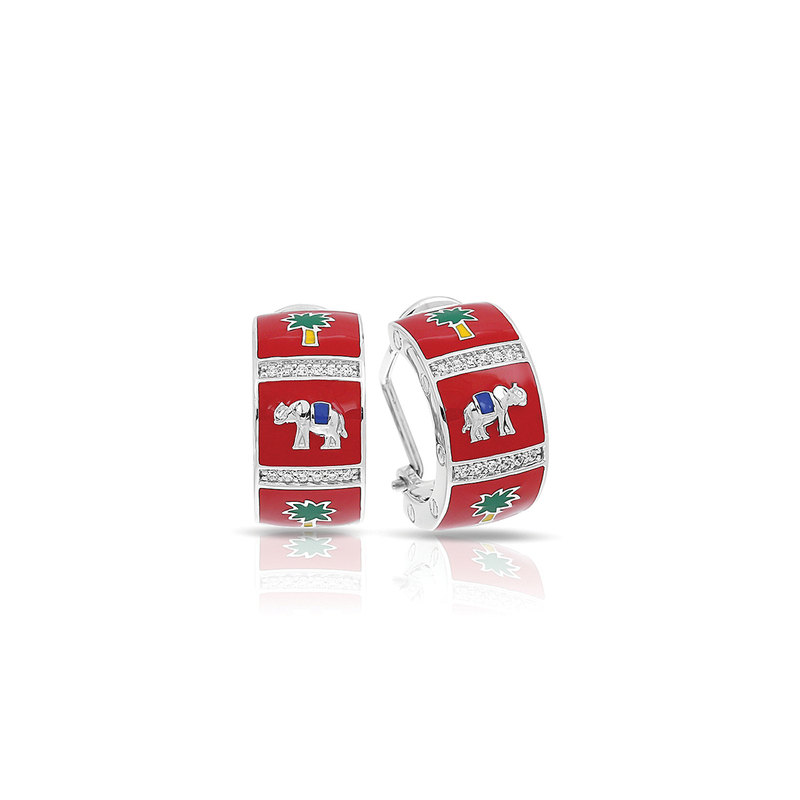 Description: Hand-painted red and multicolor Italian enamel with pavé-set stones set into rhodium-plated, nickel allergy-free, 925 sterling silver.